This meditation retreat will serve as a platform to support your practice, wherever it’s at, and aims to provide a space where it can deepen and flourish. It will be filled with extended periods of meditation, personal interviews, evening teachings, nourishing food, and natural surroundings. It will be especially beneficial for those wanting to deepen their experience and understanding of the stages described in The Mind Illuminated by Culadasa. The retreat will be held in Noble Silence, meaning that there’s very little talking, activity, or distraction. This allows you to maximize the amount of time each day that you spend meditating. Upasaka Upali (aka Paul Peterson) is a meditation teacher who specializes in working with beginning to advanced meditators. Upali’s teaching style strives to provide tangible instruction, inspire consistent practice, and to create a rewarding meditation experience. He has taught broad and diverse audiences from adult professionals seeking stress reduction to elementary students in underserved communities. He began teaching in the Southeastern United States where he would travel once a month to a Federal Prison in Virginia to talk about meditation with inmates of a prison Sangha (meditation community). He later moved to South America, where he was encouraged to continue his teaching practice by Tucker Peck, Ph.D. through teaching beginning meditation classes online. 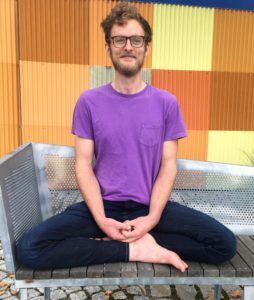 Since then, his online teaching practice has expanded, which he has found to be a delightful way to connect with meditation practitioners from all over the world. After arriving back in the United States, Upali began a local meditation Sangha in Chattanooga, Tennessee. Additionally, he became a teacher for the Mindful Schools Program where he taught mindfulness to elementary students in underserved communities of Chattanooga. In April of 2018, he completed a one month Teacher in Residence program at Dharma Treasure with Upasaka Culadasa. Since the program, Upali has increased his teaching of in-person meditation retreats and has enjoyed seeing the benefit and progress silent retreats create for practitioners. He currently studies with Culadasa, the author of The Mind Illuminated. Culadasa’s own authorization to teach can be traced, through Ananda Bodhi, back to the historical Buddha. The Mind Illuminated (TMI) is an ancient meditation technique with modern considerations, including the perspective of cognitive science. It could most accurately be described as Shamatha-Vipassana, incorporating both concentration and insight practices. It has grown in popularity due to the way it gives clear and tangible instruction on how to meditate, demystifying the practice of meditation as a whole and giving greater access to the benefits of meditation for everyday people.